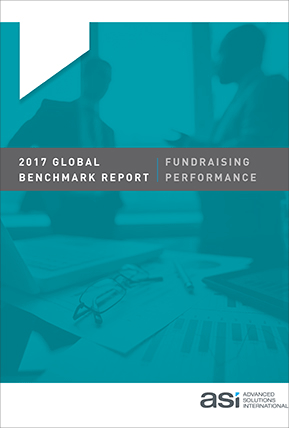 ASI's 3rd annual worldwide survey report reveals how your fundraising peers are increasing new donor acquisitions, retention, engagement scoring, staff efficiency, revenue growth, and continuous performance improvement. Goals: What does the new Number One goal (ranked highest for the first time in the survey's history) tell us about the future of fundraising? Trends: How did fundraising levels and Responsive Web Design adoption rates change in the last year and what does that mean for not-for-profits? Trends: What's the one strategy some fundraisers used to successfully increase retention, donation levels, event attendance, and peer-to-peer fundraising? Management Systems: What are the latest options on the market to help you lower your risk of investing in the wrong system? Complete the form to receive your complimentary copy.